London is a massive city with so many different neighborhoods to explore. 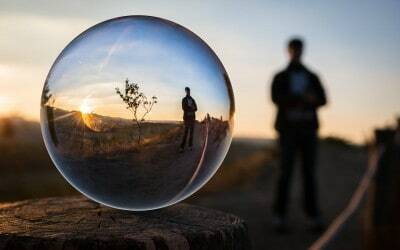 The problem is finding the time to see it all. 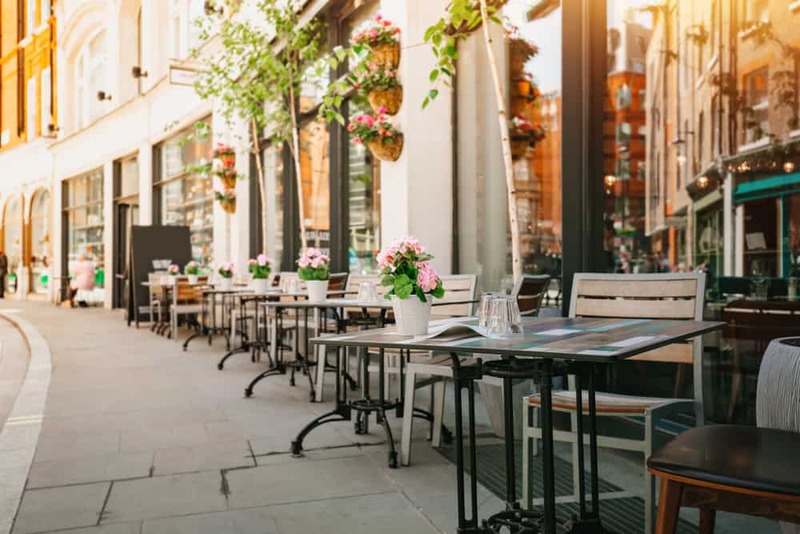 We’ve rounded up our the best neighborhoods in London to hang out in to give you a more local experience of the city. 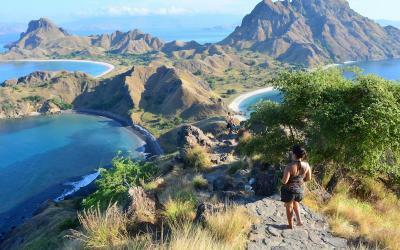 Sure, the city centre and the West End are awesome but get off the tourist track a little and discover London’s coolest places away from the crowds. From pretty Greenwich, hipster Shoreditch to riverside Richmond, here the best neighborhoods in London! Camden is an eccentric part of North West London that you simply can’t miss if you’re a lover of music, vintage fashion, art and street food. This multicultural London Borough is unique to anywhere else in the city because its of its boho, arty landscape. And while it can get quite busy, it’s all part of Camden’s bustling atmosphere. Take in the vibrant feel of Camden Market. KERB Camden Market is all about the street food from all over the world. 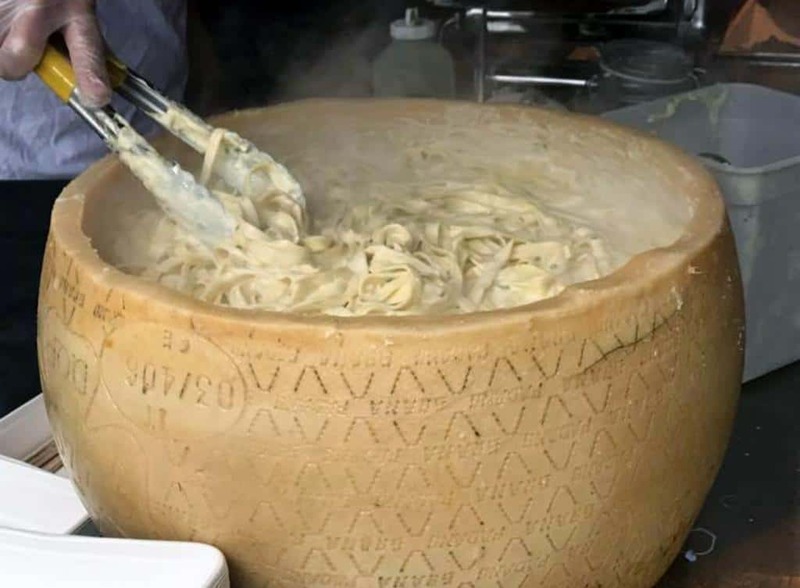 Check out the Cheese Wheel if you’re a pasta lover. 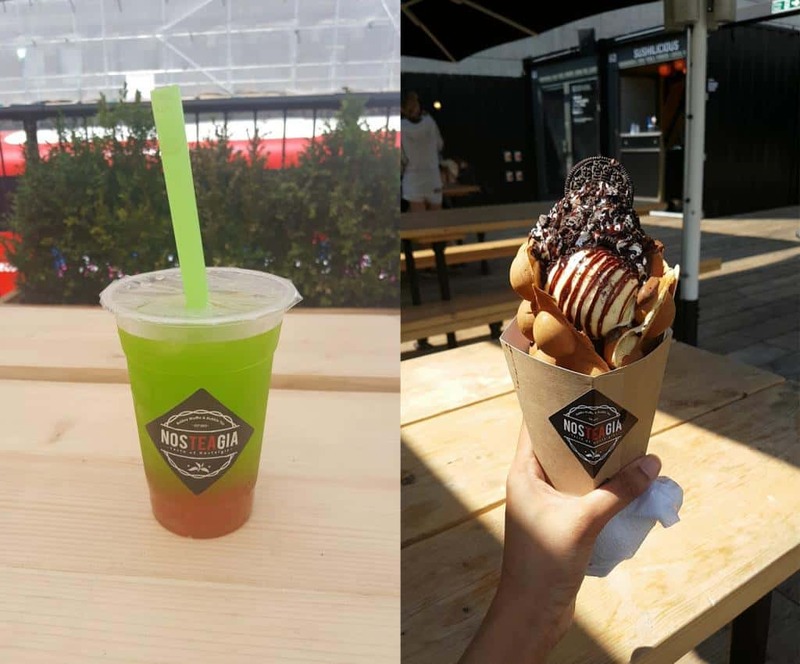 You can grab a drink and some tasty street food and sit by the Regent’s Canal at KERB Camden, the perfect place to spend a summer’s afternoon. 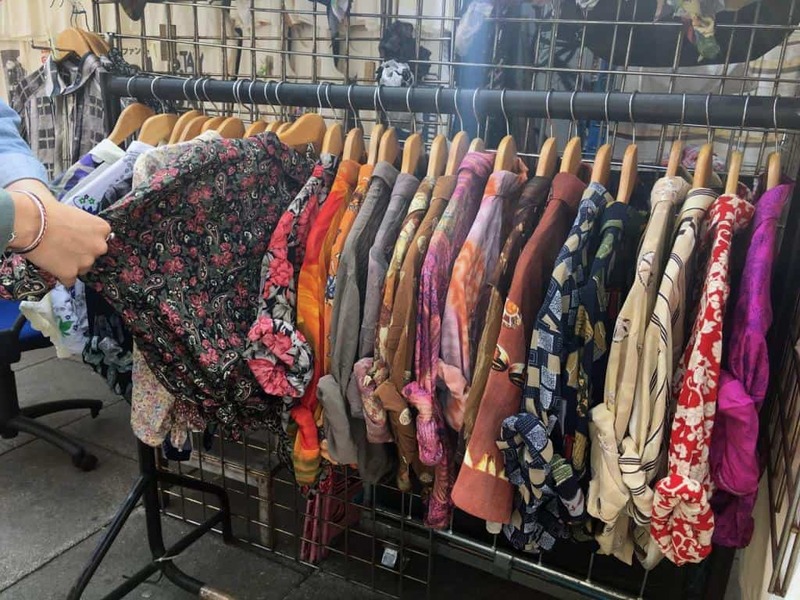 The market is huge and sells everything from boho clothing, accessories and jewellery, candles, incense – not to mention all the cool vintage shops where you can pick up a cool piece of clothing for a bargain. 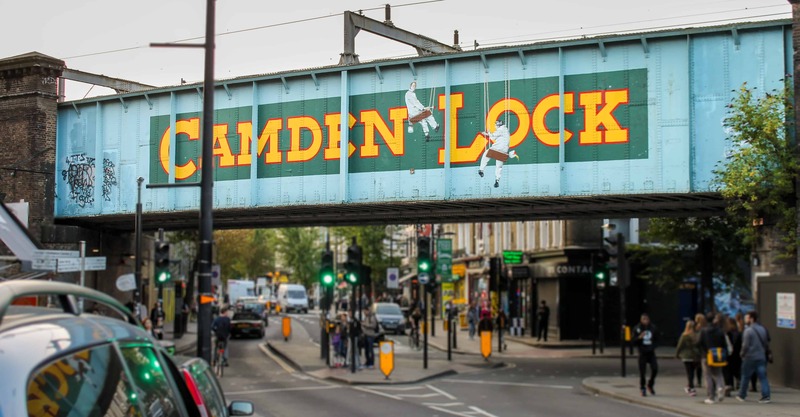 Camden is plastered in street art and colourful murals so keep an eye out for that. Expect a very boho, arty vibe in Camden with quirky shops and tattoo parlours lining the high street. Camden has a famous music scene, where Amy Winehouse once used to perform. In fact she used to live in Camden. 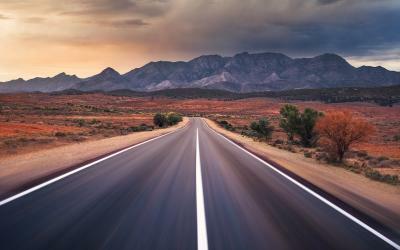 The Roundhouse, KOKO, The Electric Ballroom and the Jazz Cafe are just four examples of amazing music venues where you can watch up and coming artists to bigger names play. Belushi’s is an awesome sports bar that turns into a club at night, so be sure to stop there for Happy Hour. 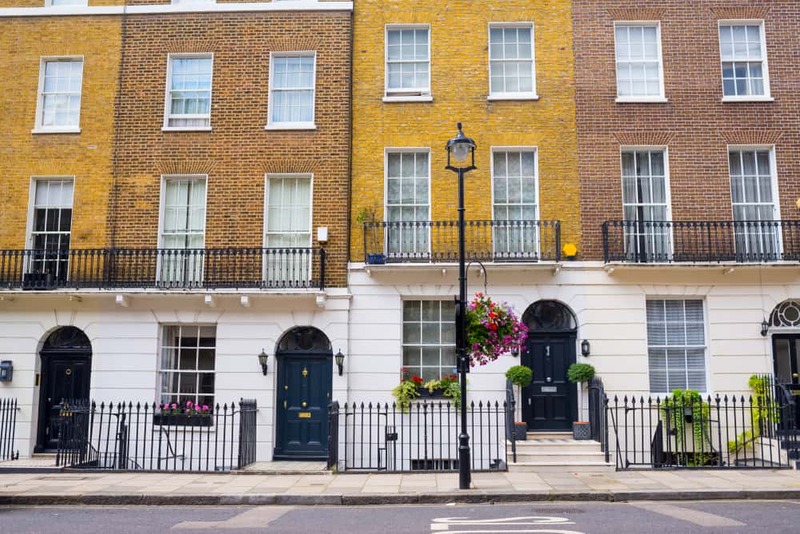 On Camden’s doorstep you’ll find picturesque Primrose Hill, Regent’s Park and London Zoo. An underrated neighbourhood in London but one of the most charming. That’s why we love hanging out in this chic pocket of the city. On Marylebone High Street the cobbled paths give a village-like feel which is hard to find in the rest of London. 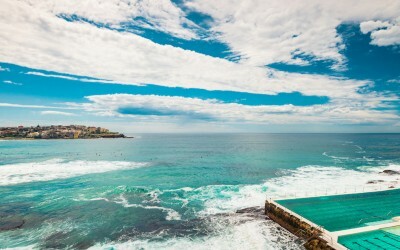 Brimming with independent brunch spots, cafes and boutiques, old book shops and quaint chocolate shops, we love heading down here for a bite to eat and wander. In fact, when exploring the little narrow streets you may come across Rococo, where you can treat yourself to the best hot chocolate in London. Marylebone is perfectly located to fit into your day of sightseeing because Oxford Street is just a 15 minute walk away, if that. Walk to Selfridges and spend the day shopping or eating in the food court. Catch a movie at the Everyman Cinema where you sit on plush sofas while you watch your movie – you can even order cocktails and food throughout the duration of the film. The beautiful Georgian houses around Marylebone are chic yet modern, making it a lovely place to just walk around. Considered a more affluent part of London, spending the afternoon or evening here doesn’t have to break the bank. Our favourite places to eat include Greek restaurant Opso, tapas at Donosti or Indian street food at Roti Chai. Head underground to the ultra cool speakeasy bar, Purl where cocktails are 10/10. If you want to satisfy that inner detective in you, head to the Sherlock Holmes Museum, a private museum in Marylebone at 221b Baker Street, the same building where Sherlock Holmes actually lived. From Marylebone Station you can get a direct train to Oxford, one of the best day trips out of London. Shoreditch is the place where London’s young working professionals love to hang out. What was once an area of regeneration, this pocket of East London has transformed into a hub of London’s coolest restaurants, bars and laid back Aussie run coffee shops. 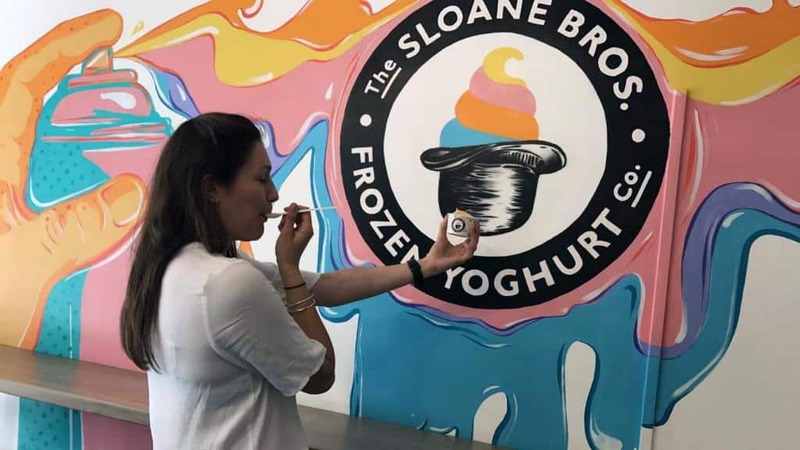 Attracting London’s young creatives and hipster crowd, the industrial area is booming with fun things to do. Just get off the tube at Old Street station and you’ll be in the heart of Shoreditch. 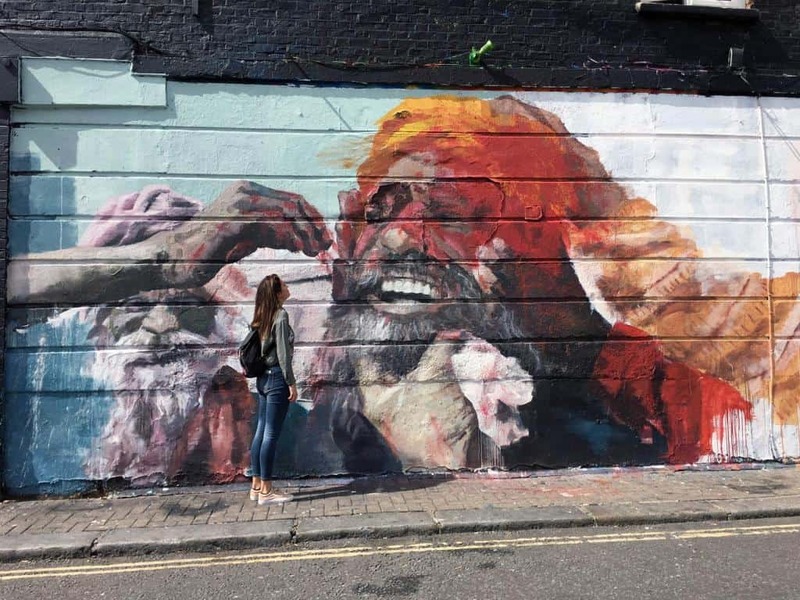 Check out the impressive street art on Brick Lane, head to the eclectic Brick Lane Market, explore Spitalfields Market, get all of your street food feels at Dinerama or Boxpark. 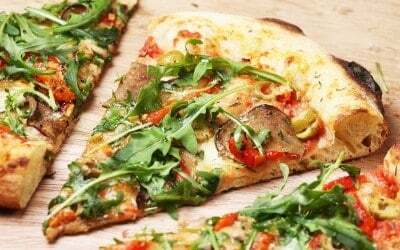 Some other foodie places we recommend is the Motherclucker food van (for the best fried chicken), Meat Mission, Beigel Bake (for the cheapest and tastiest bagels in London) and Homeslice for pizza! Check out the Best Cheap Eats in London. Shoreditch is also home to a large Bangladeshi community so it’s famous for being home to the best curry houses in London – head to Brick Lane where you’ll find plenty of Indian restaurants. Shoreditch is also known for its nightlife and bars – you’re guaranteed to have a great night out around this area. 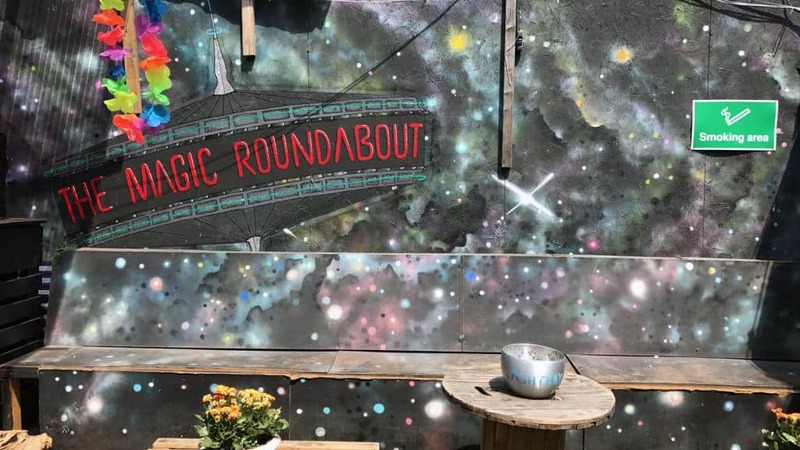 We recommend the Queen of Hoxton, XOYO, the Magic Roundabout and The Golden Bee if you fancy a fun night. Shoreditch is also good at shopping. Visit the Old Truman Brewery on Sunday for the Sunday Upmarket where you can shop vintage fashion, homeware and street food. Close to the city, London’s banking district Liverpool Street is just a few minutes away which means you can tick both areas off in one day. St Christopher’s Inns has a hostel right in the heart of Liverpool Street so you can’t be better placed in the city. The London Borough of Greenwich if full of fascinating history and it’s also one of the prettiest places in visit in London. It’s a shame that this beautiful part of the city doesn’t get as much credit as it deserves because it’s a fantastic tourist destination, even though it’s a little further out from the centre of the city. This leafy Borough is made up of tree-lined streets and green spaces, as well as lovely restaurants, pubs and bars. 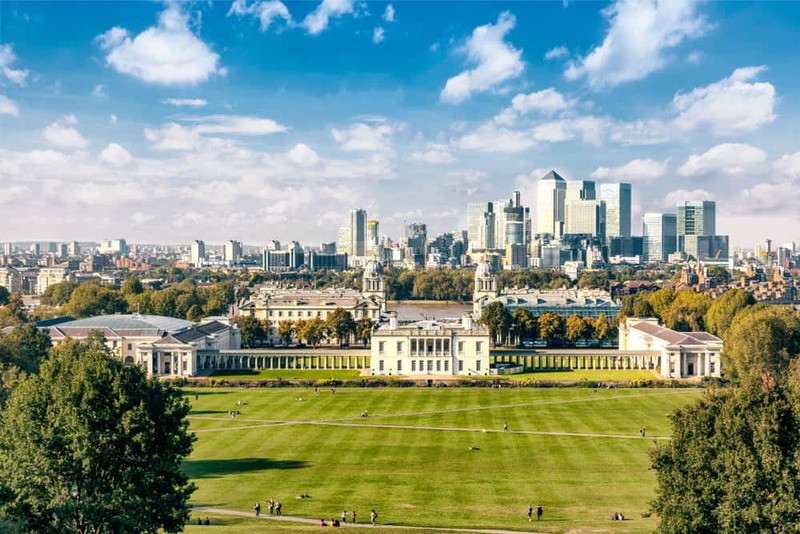 In the summer, have a picnic in Greenwich Park and sit right up on the hill where you’ll be amazed by the incredible panoramic views of Canary Wharf’s skyscrapers. Head to Greenwich Market where you can enjoy over 120 stalls, tasty street food, fashion and antiques. This is London’s only historic market set in a World Heritage Site. 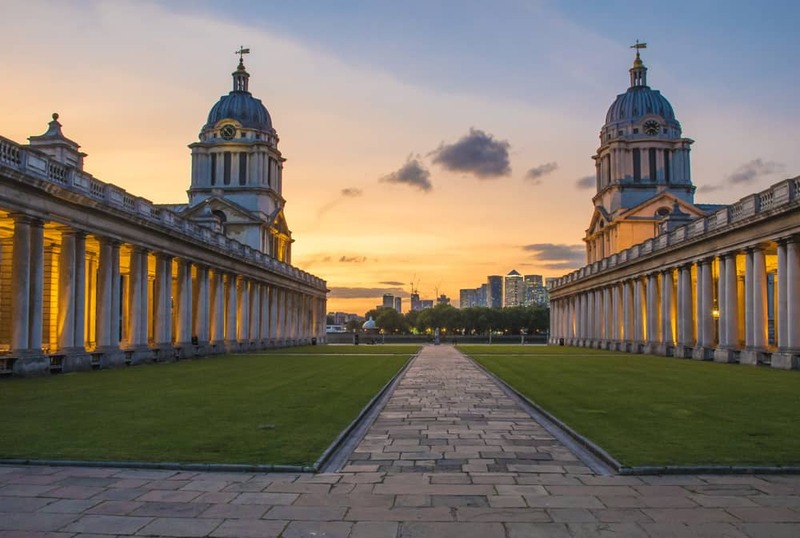 Greenwich is the home of time, where GMT (Greenwich Mean Time) was created – which is pretty amazing. You can visit the Royal Observatory, a UNESCO World Heritage Site, to learn more about the history of time, astronomy and space. It even has a planetarium where you practically go to space from your chair. Greenwich also has some Royal history. Home to the Queen’s House (where King Henry VIII was born), this beautiful museum is open to the public so step inside and discover the palace. This former royal residence is beautiful inside and out and now houses an art gallery with a collection of paintings by British artists. Greenwich is also famous for its maritime history where you can actually hop aboard the Cutty Sark, a British clipper ship. You can also visit the Old Royal Naval College. And this area is not without its nightlife and fun. Being a university town, Greenwich is loaded with cool pubs and bars. Belushi’s is the place to party, a bar right next to Greenwich station where you can enjoy daily Happy Hours, student nights and incredible burgers. Get your sushi fix at Sticks N’ Sushi if you fancy some Japanese food and the Rivington pub for a tasty Sunday roast. 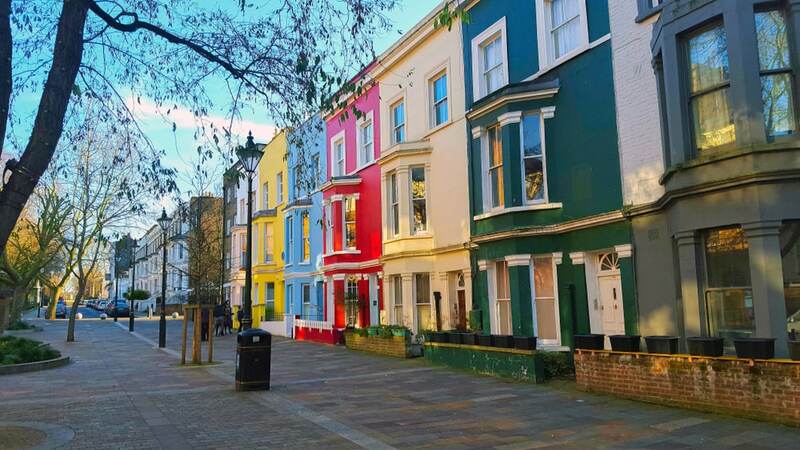 Colourful houses and beautiful streets – Notting Hill is an affluent part of London boasting a vibrant, trendy and bohemian style. 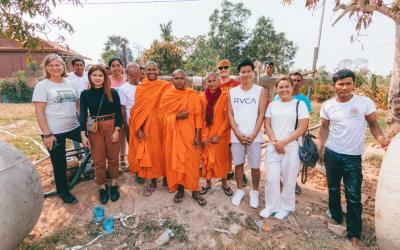 The area is a lovely place to walk around with one side boasting charm and chicness and the other side bursting with character, energy and culture. The bustling Portobello Road Market is always good fun and it’s the largest antiques market in London with over 1000 stalls where you can haggle for a bargain. The trendy colourful boutique shops set against the pretty trees makes it a beautiful place to lose an afternoon. If you’re in London for Notting Hill Carnival then you’re in for a treat. This is a massive street party that takes place every year. 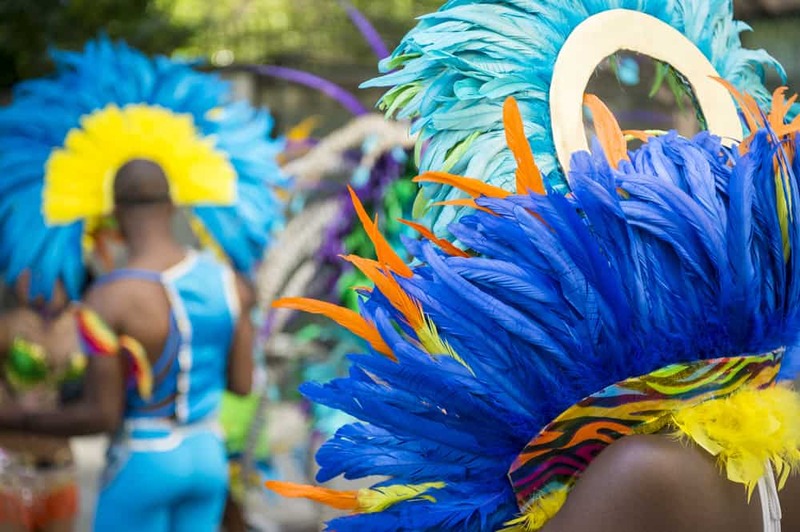 Experience this massive celebration of Carribbean culture to reflect the Carribbean roots of the area: during the carnival you can enjoy parades, calypso music, dancers and delicious jerk chicken. From Notting Hill you can walk to Maida Vale, known as London’s ‘Little Venice’ due to its numerous canals. The perfect lunch spot in Maida Vale is Kateh, a real hidden gem specialising in Persian cuisine. You can also head to The Electric Cinema to catch a movie in style. Stop for a healthy lunch at Farmacy, then enjoy the market and pick yourself up a new pair of sunnies! 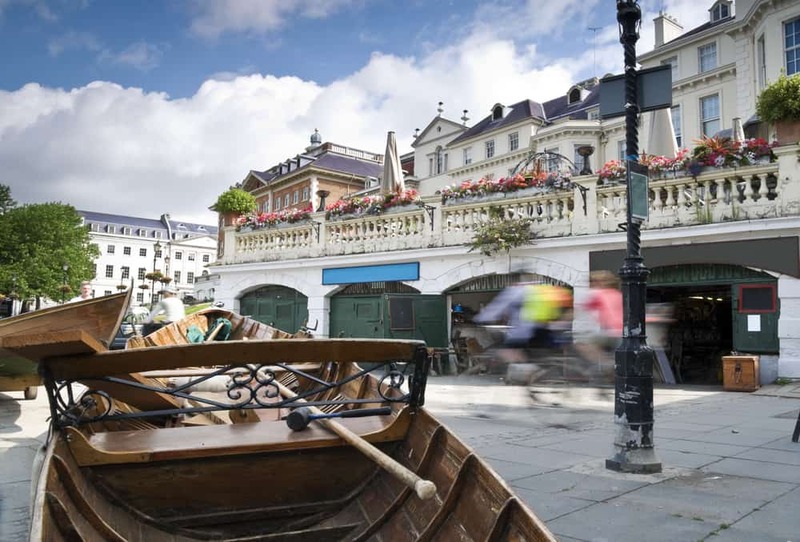 Richmond Upon Thames is probably the coolest suburb to hang out in the summer. 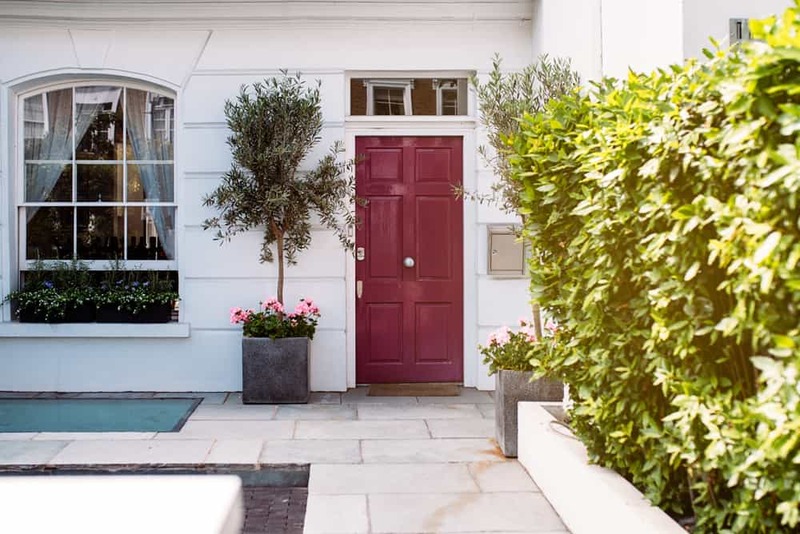 Set just on the outskirts of South-West London, it boasts the best of both worlds: a bustling high street vibe paired with the peaceful green sanctuary of Richmond Park. This riverside town is perfectly situated by the Thames with buzzing restaurants, bars and pubs lining the river. 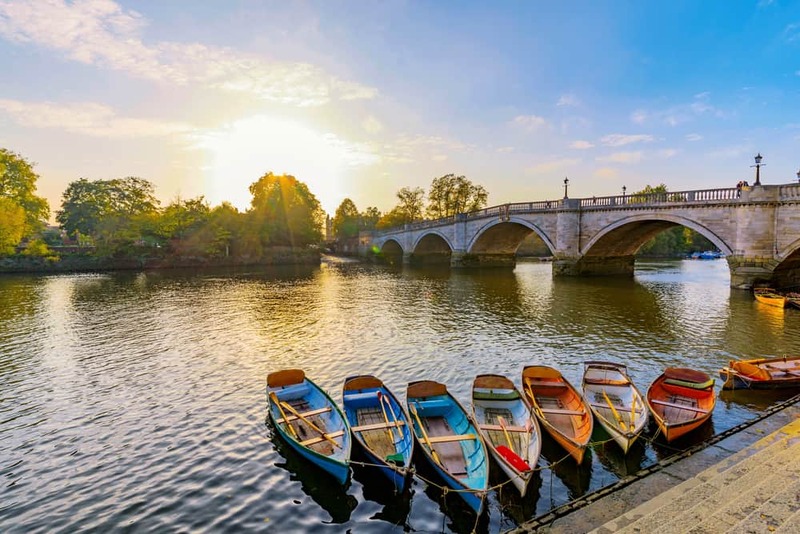 In the summer, be sure to pay a trip to Richmond and enjoy the riverside atmosphere and lazy, long Sundays eating a roast in a traditional pub. One of London’s most beautiful Royal parks can also be found in this town. Richmond Park is the largest of the city’s Royal Parks spanning 2500 acres. It’s also a National Nature Reserve, home to incredible wildlife. You can go deer watching in the park so keep an eye out for any furry friends while you’re there. Some of our favourite places to eat and drink in Richmond include The Botanist, Pitcher & Piano, Old Ship, Revolution (for affordable cocktails) and The Ivy. 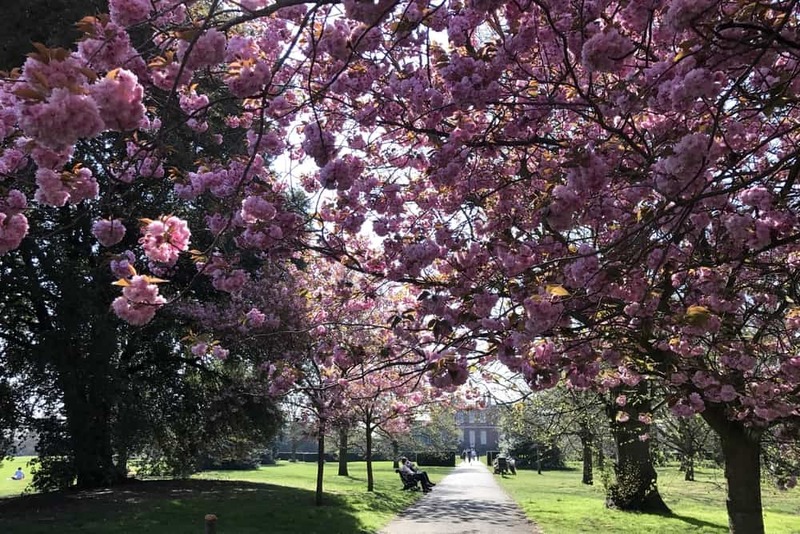 Just a few miles from Richmond, you simply must visit Kew Gardens if you’re a flower lover. 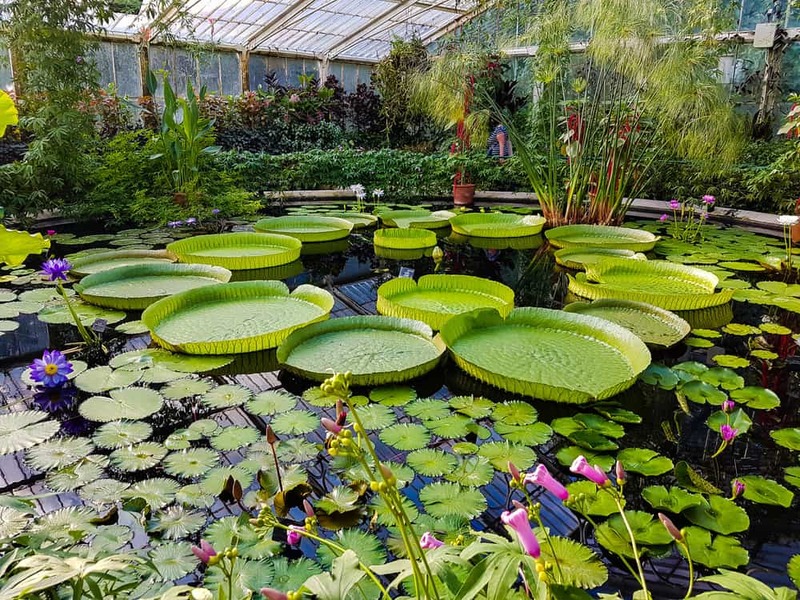 These Royal Botanical Gardens are world-famous offering you a chance to get up close and personal with some incredible plants, including giant water lilies.